FEW areas of Glasgow have changed so drastically in such a short space of time as the Gorbals did in the late 20th century. Deprived and overcrowded, the district was a prime candidate for post-war regeneration. Over the course of that decade, the Gorbals’ densely-populated tenement stock was reduced dramatically to be replaced by hundreds of new concrete flats and high rise tower blocks. 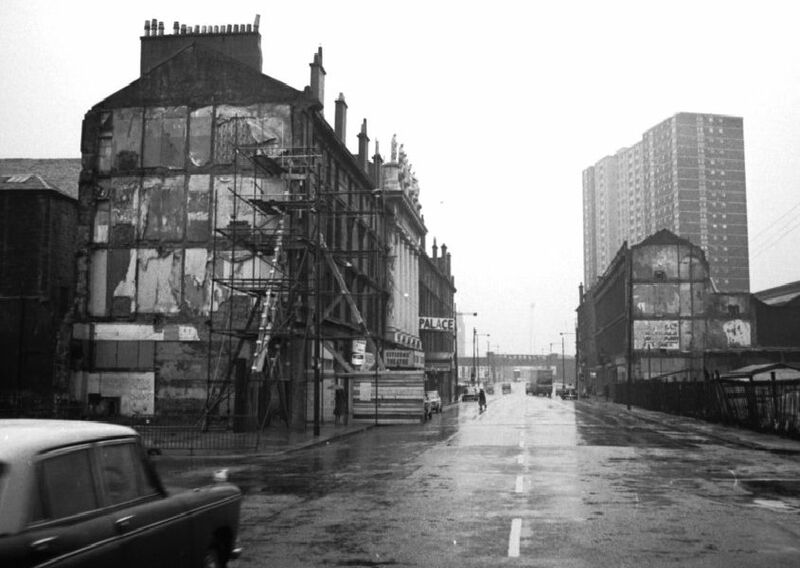 The demolitions resulted in a population decrease of around 50,000 inhabitants to less than 20,000 in the Gorbals by 1971. Only now, half a century on, is the area’s population beginning to climb again thanks to a new wave of residential construction. We take a visual wander through the G5 postcode as it was before, during and immediately after its post-war redevelopment. Glasgow Citizens theatre in Gorbals Street in 1961, through fog and rain. A view of the exterior of the Caledonia Road Church. Gorbal re-development - New development in Adelphi Street.